If, when, and how we make judgments usually determines how we treat others – it’s a personal affair that originates from a place deep within ourselves. Choice at this level is crucial as it can either imprison or free us. Possibly the most important question to ask ourselves is: am I ‘S t I l l – J u d g i n g ?” The answer may just be the key to better health & happiness – how cool is that?! Very happy to say that I quit smoking 2 1/2 years ago – but that was after smoking for 50 years and heavily. Oddly, once I made up my mind to do it, it was a piece of cake and I’ve never looked back. My advice – not judgment – is go cold turkey. All those quit smoking aids just keep nicotine in your system or have side effects. Love your gentle commentary Jo Ann – that’s even better advice!! 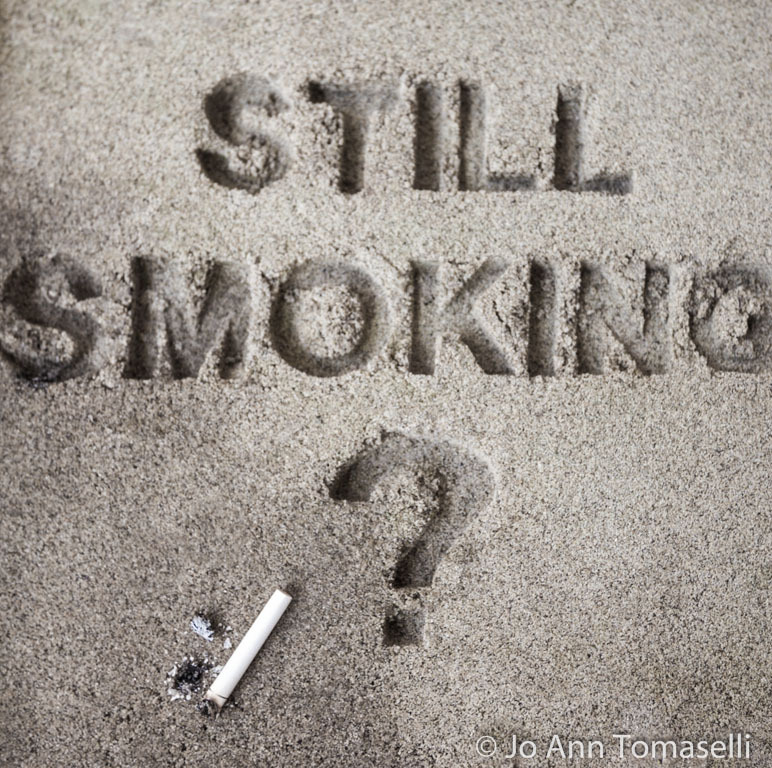 Thank you Sharon ~ it’s always fun to find an image like this – I couldn’t believe that the cigarette and ash were so perfectly in place and the surrounding sand undisturbed!